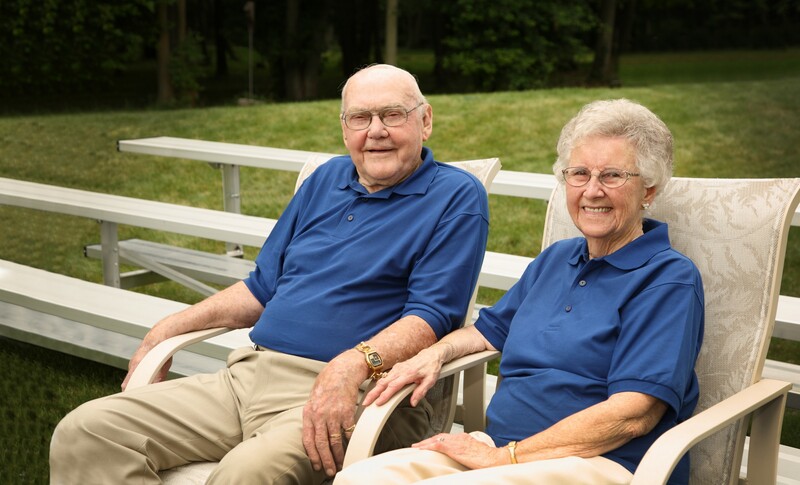 In 2015, the seven children of Marvin and Jerene De Witt gave a significant gift through their parents’ estate, to the Marvin and Jerene De Witt Fund, an unrestricted fund that is part of our Community’s Endowment. The gift was given as a way to give back and to honor their parents’ hard work and love for helping others. Growing up, the children recall that Jerene often listened to Christian radio and donated to radio shows, such as “Family Altar on the Air” and the “Children’s Bible Hour.” The family also listened to missionaries talk on the radio about the work they were doing on the mission field. 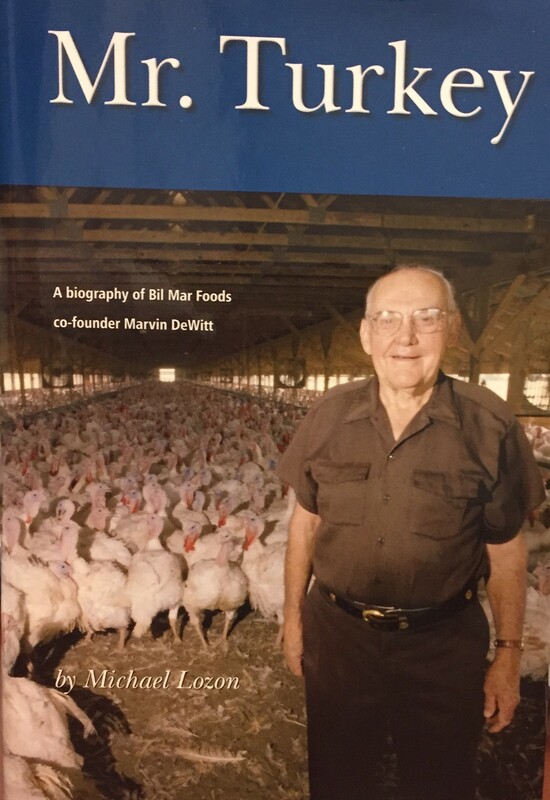 In 1938, Bill and Marv De Witt borrowed money from their sister and purchased 13 turkeys, which was then the beginning of Bill and Marv’s Turkey Farm and Hatchery. As time went on, the turkey farms grew every year and were being marketed mostly for holidays. Marv had a brilliant idea in 1961 to begin further processing the turkeys, making roasted turkey rolls, turkey breasts, hot dogs, and sliced luncheon meats. In 1971, the family decided to also get into convenience foods. Soon after, they started producing lasagnas and macaroni and cheese. The company went through some devastating times with the teamsters union strike in 1981, and the horrible fire of 1984, which destroyed 90% of their facilities north of Borculo. In 1987, Bil Mar Foods merged with the Sara Lee Corporation. Over the years, the Bil Mar Foods Company enjoyed immense success and recognized that their success came through God’s grace, hard work, and great employees. The church, family, employees, customers, and the community were all key to their growth. Their community-driven success was one of the main reasons why they chose to give back through a fund that’s part of our Community’s Endowment, which makes a difference locally today, tomorrow, and forever. “Our Mom was always busy cooking and baking for our large family. She was amazing and always had enough food for everyone, including unexpected guests. Mom was the stable force in the home and encouraged us with school work and memorizing ‘the catechism questions.’ Her gentle spirit blessed us and the community,” commented daughter, Marilyn. The entire family worked hard building the family business including Gary, Jack, Don, Merle, and Keith. The De Witt children all live locally and some still attend Ottawa Reformed Church, where their parents were married, their family was raised, and where Marv and Jerene attended until their recent deaths. “He taught us to give of both our time and our resources,” said Marilyn. When their church needed a new building, Marv not only contributed financially, but he also went to the construction site every day to check on the progress. Marv also challenged the entire congregation to step up and help out with the project. The family understands that they are blessed to be a blessing, and gives thanks to God for having such wonderful parents who instilled the importance of faith and family in their hearts. Marv was a great motivator to many, inspiring others to get involved and to give back. His children learned from his example, and with this fund, they hope to inspire others just as their mother and father did. Originally featured in the Community Foundation’s 2015 Annual Report. While this was written by CFHZ’s Communications Manager Nicole Paquette in 2016, we believe that stories of generosity are timeless and always relevant.